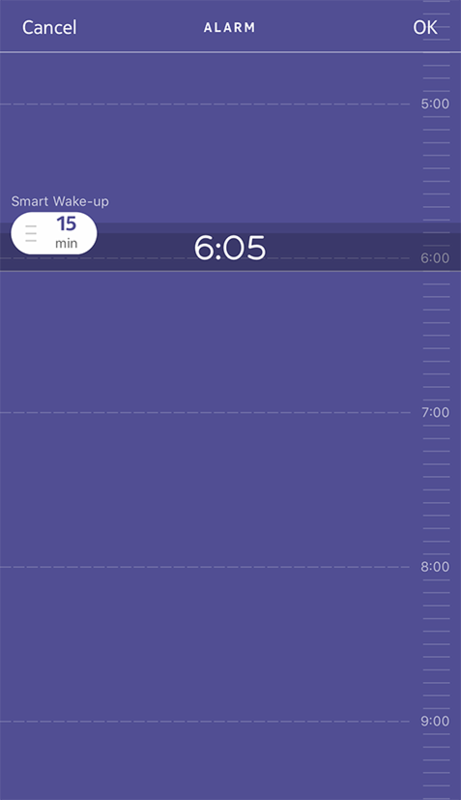 Go to Steel HR > Alarm. Place your Steel HR close enough to your mobile device. Tap and slide the wake-up time up or down to select the alarm time. Steel HR will then find the best moment to wake you up during that time period to make for a smoother wake-up experience. Note that you can set up to three alarms on your Steel HR. Tap Steel HR > Alarm. 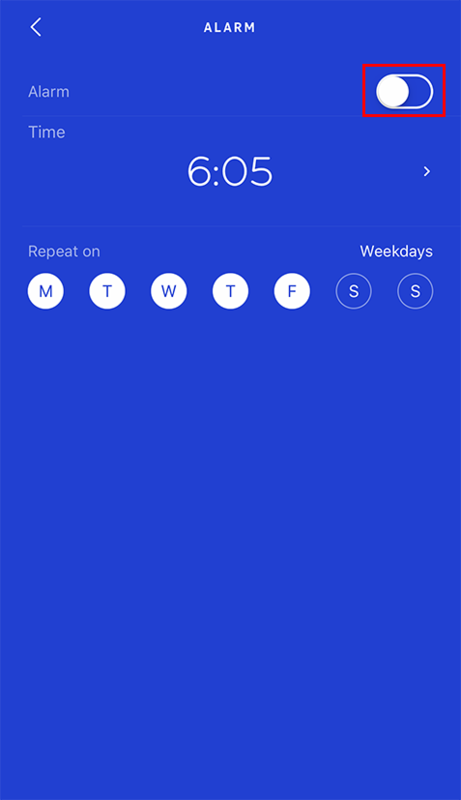 Tap the Alarm toggle to disable the alarm. Tap the back arrow at the top left of the screen. When your Steel HR vibrates, simply long press the button to postpone the alarm for 10 minutes. You can stop the alarm by pressing the button of your Steel HR. It will stop right away instead of vibrating 8 times before stopping on its own.